The Lineage Kneesaver Bars have to be Haro's number one bar of all time. 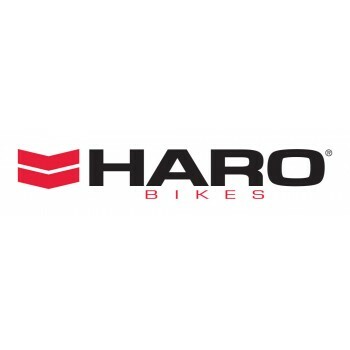 These were designed to save..
2019 Haro Bikes Annex Race BMX Series..
2019 Haro Bikes Boulevard BMX Series..
2019 Haro Bikes Downtown BMX Series..
2019 Haro Bikes Leucadia BMX Series..
2019 Haro Bikes Midway BMX Series..
2019 Haro Bikes Racelite Race BMX Series..
2019 Haro Bikes Shredder BMX Series..
2019 Haro Lineage BMX Bikes Team Master Bashguard Series FreestylerSizes: 20" , 20.75", 21" and 26"C..
Fusion Old School BMX PedalsForged aluminum bodyChromoly spindle in 1/2' or 9/16"Replaceable tractio..
Haro classic circa 1980's reproduction. Retro Jersey design front print on a lightweight 4.3oz 100% ..
Haro Gripoff Grips features:Super soft 25 durometer Krayton rubber 147mm length flange design..
Haro Lineage Double Wall Rims 7005 series AlloyWelded seamlessJoint construction..